Lieutenant General Ismail Metin Temel, the commander of the invasion attacks against Afrin, admitted that despite the civil war in Syria that has continued for 7 years, there hasn’t been a single bullet fired from Afrin. According to the Turkish media, on February 16 high ranking Directorate of Religious Affairs personnel visited Hatay from where the invasion operation against Afrin is commanded. The admissions of invasion commander Temel came during this visit. Former Turkish Historical Institute Deputy Chairperson and current Directorate of Religious Affairs Undersecretary Ahmet Belada spoke to a website about what happened in the visit. 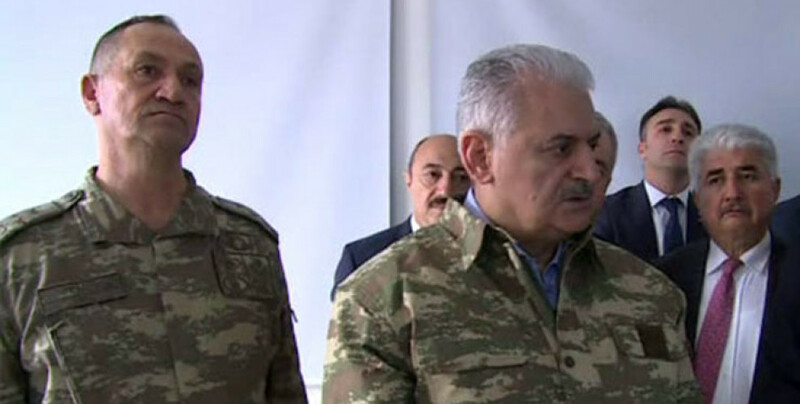 According to Belada, Second Army Commander Lieutenant General Ismail Metin Temel spoke about the invasion operation against Afrin during the visit. Temel is reported to have said, “Don’t worry, the job will be done,” and likened Afrin to Beirut. Since the beginning ,the Turkish state has seen Afrin as a threat against them and claims that there have been attacks originating from Afrin against Turkey. Even though they have failed to show any kind of evidence to prove these allegations, they still use “border threats” as the fundamental excuse of the invasion attacks.